A cancellation fee of $175 will apply for any and all registrations cancelled by Thursday, August 3 at Noon. TOPIC: It’s Time to Stop “Livin' On A Prayer”: Front End Due Diligence That Needs to Be completed Before You Bid and Sign a Contract. Disputes often occur because the parties did not take the time to ensure their front end documents, such as bid documents, plans, specifications, and contracts were balanced or reflected the true intent of the parties. This session will cover due diligence tasks that should be completed before bidding and signing a contract, as well as looking at how to mitigate and prepare for claims after the work has begun. o Prepare themselves to manage incomplete design documents and payment claims. 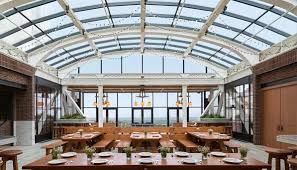 Enjoy an exceptional dinner on the Roof Top Terrace of one the most unique restaurants in Chicago. Voted #18 out of 50 Best restaurants in Chicago in 2016. Zagat says: “Justifiably popular” for “memorable”, “amazingly delicious” Peruvian food and terrific cocktails. Travel to Tanta Cocina is on your own. PEER LEARNING GROUP Session (for committed members only) * Please note shortened session due to AISC Workshop. CFA will pay the AISC Workshop fee of $25 for up to 2 Peer Group participants from each company. Please plan to attend the complete session until **11:00 am. Monitoring progress against company goals and evaluating the effectiveness and efficiency of business processes. SPECIAL AISC WORKSHOP - Cost is $25 for CFA (sign up is through AISC) Members; $200 for Non CFA members.